With the IB-Exams around the corner your revision has to be very efficient. Here you get to revise the whole syllabus, partly guided and partly on your own, asking for help when needed. The big advantage to individual revision at home is that whenever anything is unclear, you have a question or are stuck with a question, you immediately get the answer and can move on. You are not wasting your time looking it up in the text book, marking scheme or calling a friend. At this stage we work with Flash-Cards, trying to write down and memorize all the necessary concepts. So close to the final IB exams, it is mostly about being able to reproduce the knowledge and apply it immediately. We go through the syllabus topic by topic, we revise the theory and then we do a bunch of past exam questions on that topic. When we finish, we move on to the next topic. Usually we do 2 topics per day. It is all about maximizing the exam score now. We talk about various exam-related issues. We learn some concentration and mindfulness exercises to bring your heart beat down, and help one connect with the accumulated knowledge in our grey cells. We discuss the exam time management, reading time and in what order to tackle the questions. 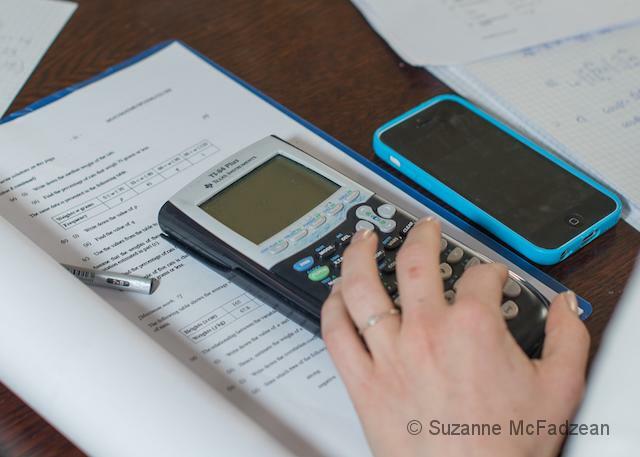 Take advantage of our expertise, join the Finals Revision course for grade 12, and ace your Math IB exam! If you need more support with preparing for the finals or the course dates don’t suit you, book a one-on-one class any time.